Mother’s Day is the perfect time to give all the mothers in your life a little design love. From personal accessories to home accents, the Dwell Store has created a collection that has just the thing Moms are looking for. Check out seven designs featured in the collection. For a mom with a green thumb—but not a lot of space—this hanging planter from Light + Ladder is a necessary accessory. 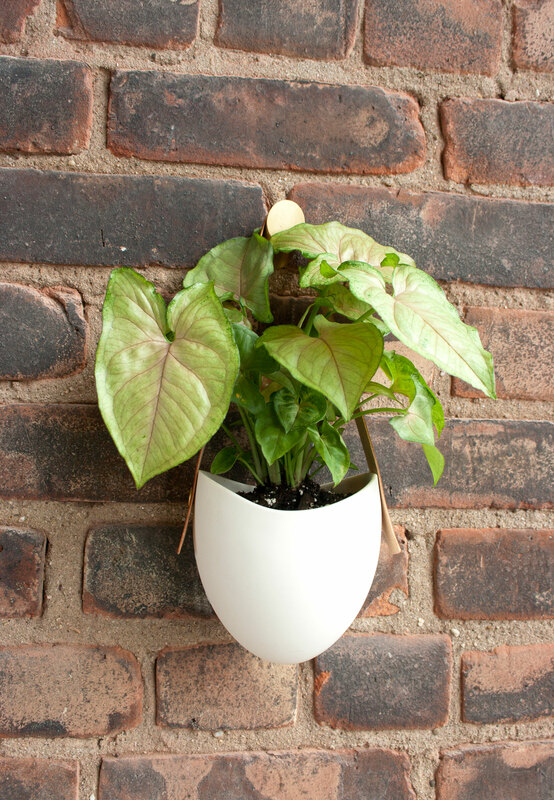 Made of porcelain and leather, the planter can be hung anywhere Mom could use a little greenery in her life. We think that the best cups of tea come from a good-looking teapot, and the simple and elegant Teema Teapot is no excepetion. Mom will want to leave this clean, classic accessory out on display after she pours herself a cup. The Arbor Jewelry Stand from Zoë Mowat Design was inspired by the habits of bowerbirds, birds that display brightly colored objects in and around their nests. An exclusive product for Dwell in this rich teal colorway, the Arbor Stand will help Mom to organize her jewelry or knickknacks. Whether or not Mom is a fan of the classic Cuban cocktail, she’ll love this Mojito Soap Set from Malin + Goetz. The set includes three bars of soap—lime, mint, and rum—that are lightly scented to give off a refreshing fragrance. The generously sized leather tote from BAGGU is perfect for a mom on the go. It can function as a book bag, luxe shopping tote, or a purse. The simple silhouette and supple leather ensures that this bag will go anywhere, from a weekend errand to a night out. For a mom who loves to entertain, we recommend the Roule Tray. The tray balances a simple shape and rich shine, and will make serving drinks or appetizers an elegant affair. When she’s not entertaining, Mom can use the tray as a centerpiece on a coffee table for cocktail napkins, candles, or knickknacks. A modern design classic, the Aalto Vase from Iittala is inspired by the untamed shorelines of Finland’s thousands of lakes. Available in a several sizes and colors, it can be used for holding flowers, sea glass, and pebbles, or left empty as a work of glass art.